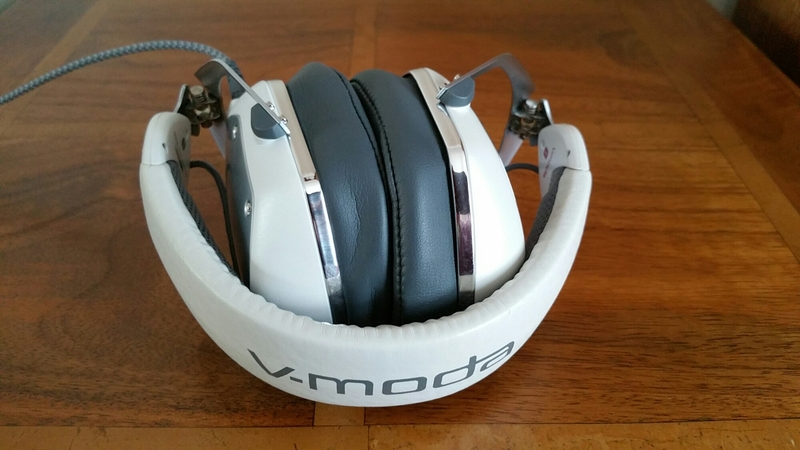 Today, I am going to review the V-Moda Crossfade M100. These are an award-winning M-Class “modern audiophile” sound signature tuned by over 200 affectionados, with several patents. When these first arrived, I thought I had been sent the wrong pair of headphones due to the size of the box being far too small. But that is the marvel of these headphones. They fold so tightly into themselves that they can fit into that tiny football looking hard case. When you use these for the first time, the first thing you notice is the level of bass attack, it’s so much richer than other headphones but totally in control. Firm bass. Fast too. The other frequencies are not ruined either. The dynamics and musicality of these cans is exceptional. If you go to Amazon.com there are over 700 5 star reviews out of 880 reviews written. Another 100 are 4 stars reviews. These headphones will do wonders for your music. They also sound great straight out of your smartphone but if you use an external amp you will explore the hidden depths of these headphones. These are a closed back design meaning your music is for your ears only. But it their ability to work well with mobile devices that stands out. I have reviewed the AKG K845 headphones which have a natural sound via Bluetooth and sound even better when used in wired mode, but only when used with an additional amplifier. When used this way the AKG’s sound better than the V-moda as they have a more natural wider musicality. The AKG’s sound close to open back headphones hence their advantage when powered properly. Anyway shortly after wearing these for about 30 mins my ears started to really hurt. The discomfort was unbearable. The ear cups were not large enough for my ears and I have not got large ears. I did some research and found others had experienced the same discomfort as myself, but also realised V-Moda sold larger ear cups. I ordered these and these make a world of difference. Slight larger and deeper my ears are enclosed in comfort. In my mind these should be the standard size, but then others have used the smaller ear cushions with no issues whatsoever. 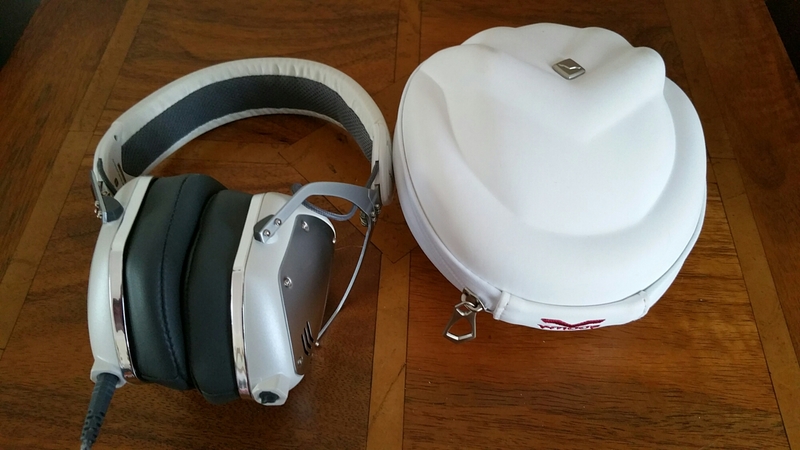 The photos show the headphones fitted with the larger ear cushions. In the football looking case was the headphones and 3 different types of cables. There are more cable options available to order for these headphones too. Some with music controls on, others with the ability to allow another person to connect their headphones in to the cable as well. But it is the ability to collapse down in to such a small size makes these ideal as a portable headphone. In terms of musicality, once you have heard these, you will not want to look back. These fantastic to use with your smartphone and are easy to power so that in terms of overall quality and reproduction, you get great music across a vast selection of genres. Bass lines are strong but the mids and treble are just as prominent. In fact, the upper frequencies are handled really well. In terms of music genres, these rock out just as strongly as they do with a soft classical piece.